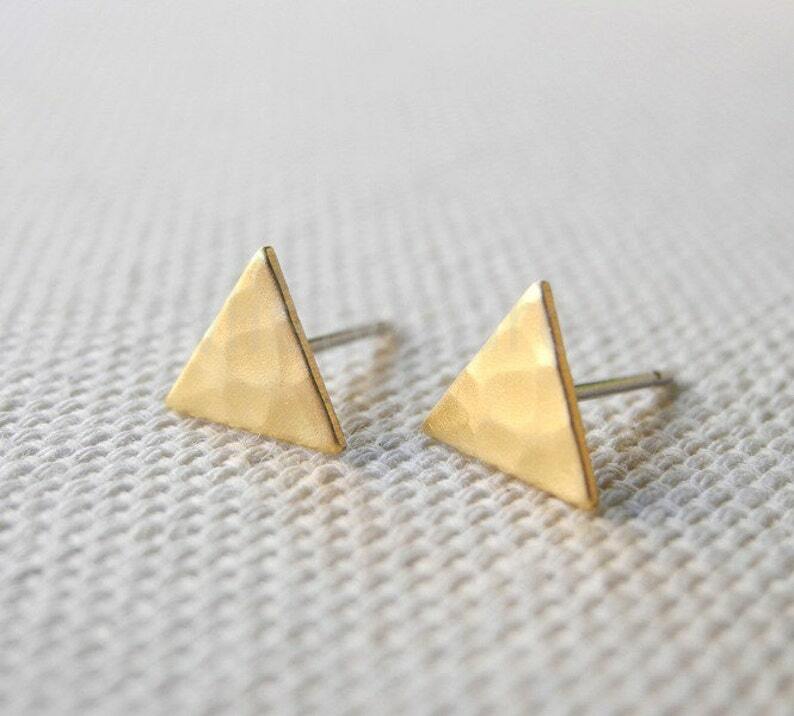 A pair of hammered brass triangles soldered (not glued) on sterling silver earring studs. Just received them! They are beautiful and were shipped super fast! Thank you so much!! !